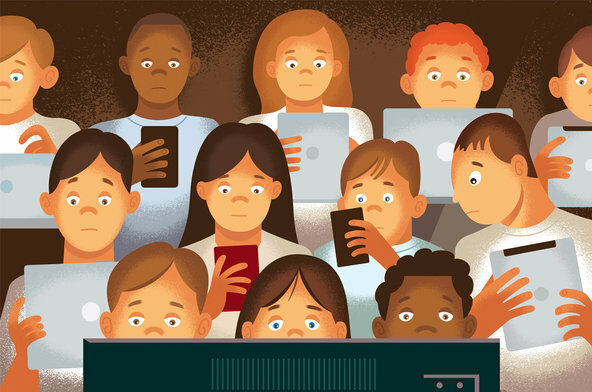 juanbook: Of Interest: New York Times "Screen Addiction Is Taking a Toll on Children"
Of Interest: New York Times "Screen Addiction Is Taking a Toll on Children"
As a new father this New York Times article: Screen Addiction Is Taking a Toll on Children, really hit home. It is a real concern already as our little girl who is not even a year old yet is very aware and very interested in the iPhones and iPads she sees in Mom and Dad's hands. "While Internet addiction is not yet considered a clinical diagnosis here, there’s no question that American youths are plugged in and tuned out of “live” action for many more hours of the day than experts consider healthy for normal development. And it starts early, often with preverbal toddlers handed their parents’ cellphones and tablets to entertain themselves when they should be observing the world around them and interacting with their caregivers." This hit home with me because I can see this in myself already how is it possible that as a person who spends 12 hour shifts staring at screens that I would have any desire to do more of it once I get home? Clearly this is something that I need to work on myself before I can ever hope to be a good example for our daughter. I've started by deleting all social media related apps off my iPhone as there is no reason that I need to have these distractions at my fingertips. It's a start but I think there is much more work to do.